Comfort, compassion, and high-quality care go hand in hand within our Residential Care facilities, co-located on-site in all of our retirement communities. 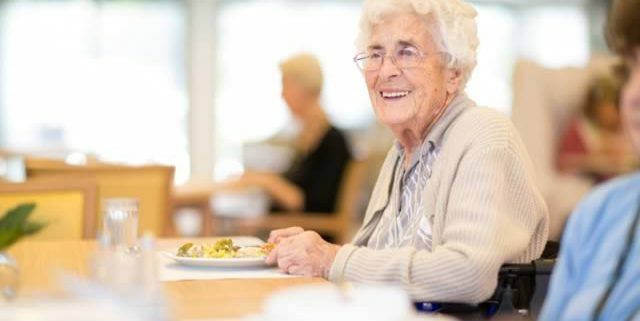 Our independent living residents have priority entry, which means not having to move away from community and friends when independence gives way to the need for a higher level of care. We are committed to providing quality care and services for the elderly where independence is encouraged within a culture of respect, dignity and inclusion. Family and loved ones are welcome and invited to be involved in care planning and decision-making. Our resident-staffing ratios are intentionally above the industry average, which means that residents receive extra care and personalised attention. Family, friends and loved ones are welcome to enjoy our onsite community facilities and participate in the social events and activities programs within each community. Whether it be just knowing someone is there 24/7 around the clock, or for respite care, specialised dementia care or palliative care, you can rest assured you or your loved one are in the best of hands with our team of nursing staff, personal carers and services support staff who genuinely care.